The American-Arab Anti-Discrimination Committee (ADC) opposes the discriminatory travel and dual citizenship prohibitions established by the Visa Waiver Program Improvement and Terrorist Travel Prevention Act (“VWP Act”). The VWP Act imposes a mandatory and categorical bar to the Visa Waiver Program (VWP) on any individual who is a dual citizen of an VWP and Syria, Iraq, Sudan, and Iran from entering the United States under the program. The VWP Act prohibits persons whom has traveled to Syria, Iraq, Iran, and Sudan since March 1, 2011. 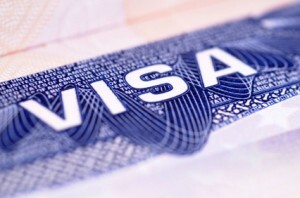 On February 18, 2016, the U.S. Department of Homeland Security (DHS) announced that it will extend the Visa Waiver Program travel bans to persons whom traveled to Yemen, Somalia and Libya since March 1, 2011. An individual’s national origin or family heritage is not a valid or useful criterion by which to judge whether they pose a security threat. 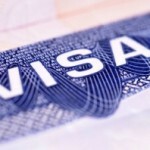 Devoting resources to screen people based on their place of birth, residence, national origin, or family heritage is a diversion of resources and counterproductive to securing our nation.There is no empirical evidence to support that these travel bans and citizenship prohibitions will effectively strengthen the Visa Waiver Program. These regulations are more likely to screen out health and aid workers, clergymen, journalists, teachers, translators, businessmen and others who help get their families and loved ones to safety. The bill is not just a visa requirement, it is discriminatory. This Act makes VWP Arab nationals second class citizens in their own country – they are not afforded the same benefits as their fellow nationals.